Coming up with photo project ideas is difficult for someone who is new to digital photography or who has recently switched from 35mm film to digital. However, by working on an educational project or two, you can polish your picture taking and photo editing skills to create images that you are proud to display in your home. Black and White Photography: Black and white photography is one of the best ways to learn how to use light to influence your shots. It is very unforgiving with poor light and forces you to look at light as a compositional element of your shot instead of just something you need. Walk out to your favorite street corner, park, or special place and force yourself to look for shadows and interesting light. You can set your camera to its monochrome setting for this, but it's actually best to shoot in color and then mess with the colors later on. Nature Photography: Work on taking photographs outside. 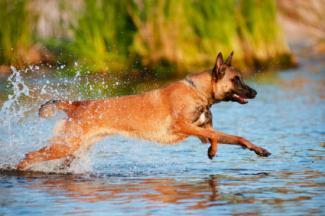 Try taking action photographs of animals along with plant life and scenery. Take three or four shots of the same subjects, each with different camera settings and from different positions. For example, consider adjusting your shutter speed when you photograph a squirrel scampering or switch to the macro setting to take close-up photographs of flower petals. Portrait Photography: Taking someone's photograph is not as easy as it sounds. Learn how to pose groups for your own family photo or how to add a soft appearance to a headshot. Take the time to learn about the impact that aperture and focal length have on the depth of field of your image. The depth of field is the area of your shot that has an acceptable degree of focus. Generally when doing single portraits, you want to have a very shallow depth of field to produce a lot of blur in the background and make your subject pop out. However, you may not want to use this effect when shooting a group of people who may be staggered because then you'll have people out of focus. Start off with natural light portraits using a bounce board to fill in shadows and then move on to learning how to use speedlights to enhance your portraits. The Ten Foot Photo Challenge: One of the best photo exercises you can do is to take your camera to any random place and limit yourself to only photographing things that are within ten feet of you. This forces you to think critically about your shot choices and how you compose the elements of your shot. As long as the subject of the shot is within ten feet of you, the shot counts. Photographers often fall into the mire of thinking that their subjects are "supposed" to look like something specific. This exercise forces you to find the interesting angles on everything. Amateur photographers who have moved beyond the photo project ideas listed above may want to try their hand at something more difficult. Digital camera technology often allows users to switch between various photo formats. Learn about raw format in digital photography, JPEG vs. GIF and what TIFF stands for in order to become a more skilled photographer. 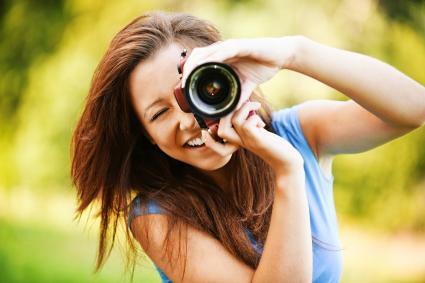 By learning which format is best for your skills and needs, you can take the best pictures using your digital camera. Virtually every digital camera comes with an editing package. If not, you can always find free photo editing software online. The best digital photographs usually need little editing, however, until your skill level improves, you may need to alter your photos. Intermediate to advanced photographers can do editing projects to change the appearance of their photographs in unique ways. Color Correction: Color correction is the process of altering the color tonality of your image to be more "true." This can be done through giving your photo editing software a reference for what color is supposed to be "white" in your image. The software references that color against its default standard of "white" and alters the color spectrum throughout the picture based on that reference. Cropping for Effect: Cropping can be used to eliminate extraneous elements from your image that detract from the overall composition. 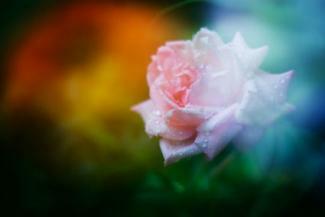 Color Filters: Using color filters to give a warmer or cooler color tone to your images is a great way to create a mood. To make each of these a project, look for five to ten digital photographs that need work. Try to do each of the edits listed above in order to improve the look of the photograph. Use the "undo" option if you don't like the results. Masking Elements: Each photo editing software has different workflows for masking out elements from your image. A mask is something that covers up an edited element on one layer so that the non-edited layer beneath it can show through. For example, you could color select red in your image, desaturate it, then mask out the entire image aside from one red element, making it stand out. Covering Blemishes: Use your cloning tool (or similar, depending on your software) to remove skin blemishes from portraits. Multiply Elements: Trace and copy elements from one area of your picture to other areas. Add Text and Graphics: Most photo software programs will allow you to add stylized text or graphics to your image. A layer-based photo program will allow you to simply place the graphic above the background image. Create Panorama Stitches: A panorama stitch is when you take many different photos of a scene and use a photo stitching software like Hugin or Photoshop to put the photos together as a panorama. This allows you to get a super-wide field of view without needing a super-wide lens. HDR Photos: An HDR photo is a photo that is made out of many different photos taken of the same scene at various exposures. The idea is that the different exposures, when layered together, will provide you with an extreme level of dynamic range and image clarity. Most photography editing programs go far beyond the list above. Try your hand at these edits by practicing on frame-worthy photographs. The better the photo is to begin with, the better your edited results will be. Shoot a nature series, focusing on a single flower over the course of the day. Take a photograph from the same spot every hour. Make a slideshow to show the progression of the flower head opening and closing. Take a series of extreme close-up photographs of someone's face. Integrate the smaller photographs into a larger, abstract version of a portrait photograph. Create a mural project of important life events. Snap close-up black and white or sepia photographs of objects from major life events, such as a close-up of a baby's hospital wristband, a graduation tassel or the embroidery on a wedding dress. Blow them up and hang them in a hallway. These project ideas are just a few to get you started on your photography journey. After you have mastered both your camera and editing program, you will be able to create projects worthy of display in your own home. 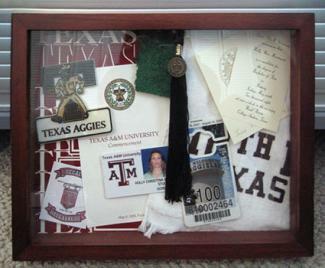 Photo shadow boxes are ideal projects to commemorate special events such as high school graduations. Adhere a series of photographs of your grad to the back panel of the shadow box frame with acid-free glue. Use more glue or pushpins to add fun mementos from her school days such as a tassel from a graduation cap, a copy of a locker key, a ticket from a special sporting event, or a dried flower from prom night. This stunning photo project makes the perfect centerpiece at a family reunion. Start by asking family members to donate pictures of each member of their immediate clan. Keep things consistent by using baby pictures to indicate each birth, and wedding pictures to indicate marriages. Find a leaf from your favorite tree and trace it. Run copies of the leaves on colored paper. Cut each picture to fit inside the individual paper leaves and glue them together. Punch a hole near the "stem" of each leaf. String ribbon through the hole and tie each picture leaf onto a real tree branch. This project is both pretty and practical. Gather several themed photos. The pictures could be from recent family vacation, a trip to the beach, or a holiday adventure. Trim the pictures to a desired size and glue them to a glass cube-shaped vase, making sure you do not leave any visible spaces between the photos. Once you have covered the entire surface of the vase, cut a piece of ribbon to a length that is long enough to wrap around the top of the vase. Then, attach the ribbon with hot glue. You could add another piece of ribbon to the bottom of the vase as well. Photo flowers are a sweet yet simple project. Begin by drawing stripes on solid colored cupcake liners with a marker. You can do so by simply following the liner's creases. Cut slits on every other crease to create a frayed edge. Paste the solid colored cupcake liner on top of a printed one. While that's drying, trace a circle on the photograph you wish to place in the center of the flower. Cut out the photo. Paste the photo in the center of the solid-colored cupcake liner. Place a piece of tape on the back of the finished flower and adhere it to a pipe cleaner. Once you've completed about a dozen of the photo flowers, tie them together with a pretty ribbon or place them in a small vase. You could also use individual photo flowers to embellish greeting cards or place a rubber magnet on the back of a blossom and use it to decorate your refrigerator. It's important for you to look at these photo projects as guidelines that can give you a good launching-point for your own projects. The great thing about photography is that it provides you with the freedom to express yourself through the use of images. This means you should try to develop your own unique voice by thinking up your own unique projects and figuring out how to make your vision a reality. The only way you can do that is if you just push yourself out into the world to take on new and diverse photography challenges.